Excerpt from an article that first appeared in the OC Register. California is widely celebrated as the fount of technical, cultural and political innovation. Now we seem primed to outdo even ourselves, creating a new kind of socialism that, in the end, more resembles feudalism than social democracy. 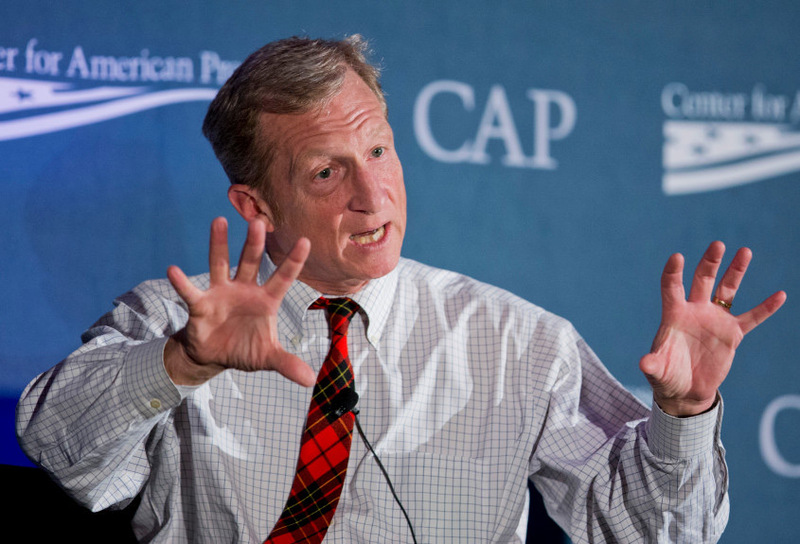 The new consensus is being pushed by, among others, hedge-fund-billionaire-turned-green-patriarch Tom Steyer. The financier now insists that, to reverse our worsening inequality, we must double down on environmental and land-use regulation, and make up for it by boosting subsidies for the struggling poor and middle class. This new progressive synthesis promises not upward mobility and independence, but rather the prospect of turning most Californians into either tax slaves or dependent serfs. California’s progressive regime of severe land-use controls has helped to make the state among the most unaffordable in the nation, driving homeownership rates to the lowest levels since the 1940s. It has also spurred a steady hegira of middle-aged, middle-class families — the kind of tax-burdened people Gov. Jerry Brown now denounces as “freeloaders” — from the state. They may have access to smartphones and virtual reality, but the increasingly propertyless masses seem destined to live in the kind of cramped conditions that their parents and grandparents had escaped decades earlier. There is some irony in a new kind of socialism blessed by some of the world’s richest people. The new policy framework is driven, in large part, by a desire to assume world leadership on climate-related issues. The biggest losers will be manufacturing, energy and homebuilding workers, who will see their jobs headed to other states and countries. Under the new socialism, expect more controls over the agribusiness sector, notably the cattle industry, California’s original boom industry, which will be punished for its cows’ flatulence. Limits on building in the periphery of cities also threaten future growth in construction employment, once the new regulations are fully in place. Sadly, these steps don’t actually do anything for the climate, given the state’s already low carbon footprint and the fact that the people and firms driven out of the state tend to simply expand their carbon footprints elsewhere in their new homes. But effectiveness is not the motivation here. 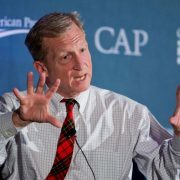 Instead, “combating climate change” has become an opportunity for Brown, Steyer and the Sacramento bureaucracy to perform a passion play, where they preen as saviors of the planet, with the unlikable President Donald Trump playing his role as the devil incarnate. In following with this line of reasoning, Bay Area officials and environmental activists are even proposing a campaign to promote meatless meals. It’s Gaia meets Lent. The oligarchs of the Bay Area have a problem: They must square their progressive worldview with their enormous wealth. They certainly are not socialists in the traditional sense. They see their riches not as a result of class advantages, but rather as reflective of their meritocratic superiority. As former TechCrunch reporter Gregory Ferenstein has observed, they embrace massive inequality as both a given and a logical outcome of the new economy. The nerd estate is definitely not stupid, and like rulers everywhere, they worry about a revolt of the masses, and even the unionization of their companies. Their gambit is to expand the welfare state to keep the hoi polloi in line. Many, including Mark Zuckerberg, now favor an income stipend that could prevent mass homelessness and malnutrition. Read the rest of the article at OC Register. The Coming Democratic Civil War Where Manufacturing is Thriving in the U.S.